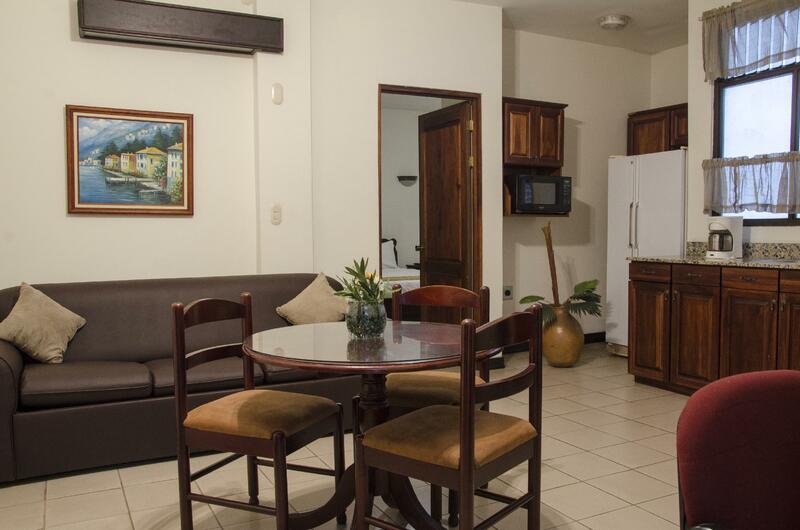 ﻿ Best Price on Hotel Plaza Real Apartments & Suites in San Jose + Reviews! Have a question for Hotel Plaza Real Apartments & Suites? 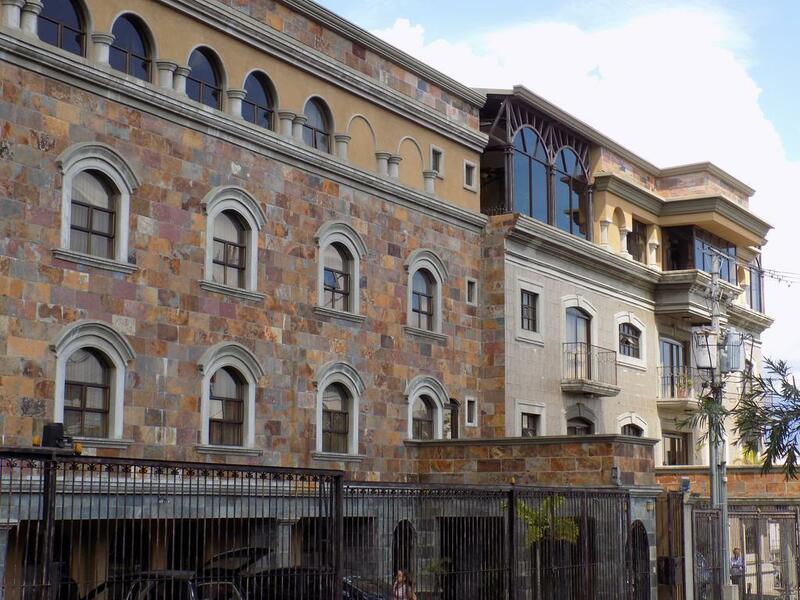 Situated in Uruca, Hotel Plaza Real Apartments & Suites is the perfect place to experience San Jose and its surroundings. Situated only 7 km from the city center, guests are well located to enjoy the town's attractions and activities. This modern hotel is in the vicinity of popular city attractions such as Esmeraldas and Disenos Jewelry, Jeannina Blanco Fine Art, Galeria Ocelote. 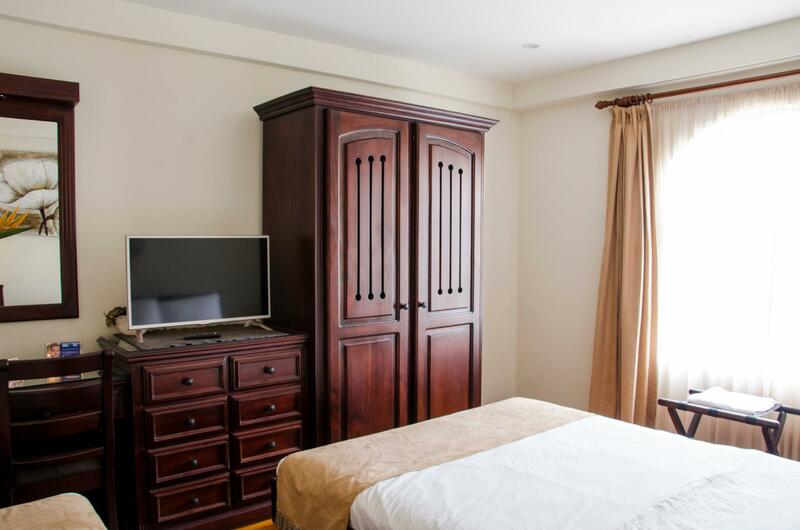 Offering hotel guests superior services and a broad range of amenities, Hotel Plaza Real Apartments & Suites is committed to ensuring that your stay is as comfortable as possible. Free Wi-Fi in all rooms, 24-hour security, daily housekeeping, postal service, 24-hour front desk are just a few of the facilities that set Hotel Plaza Real Apartments & Suites apart from other hotels in the city. 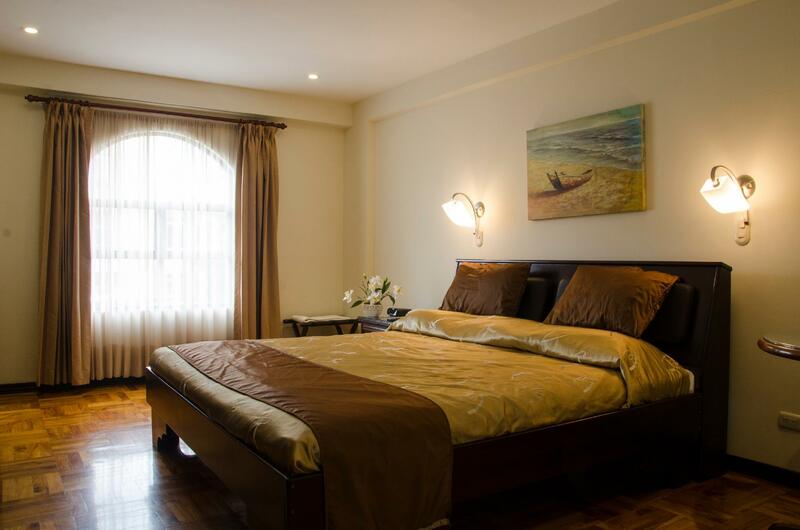 27 rooms spread over 4 floors provide a warm and pleasant home away from home. Modern comforts such as towels, closet, wooden/parqueted flooring, separate living room, internet access – wireless can be found in selected rooms. The hotel's fitness center, sauna, spa, massage are ideal places to relax and unwind after a busy day. 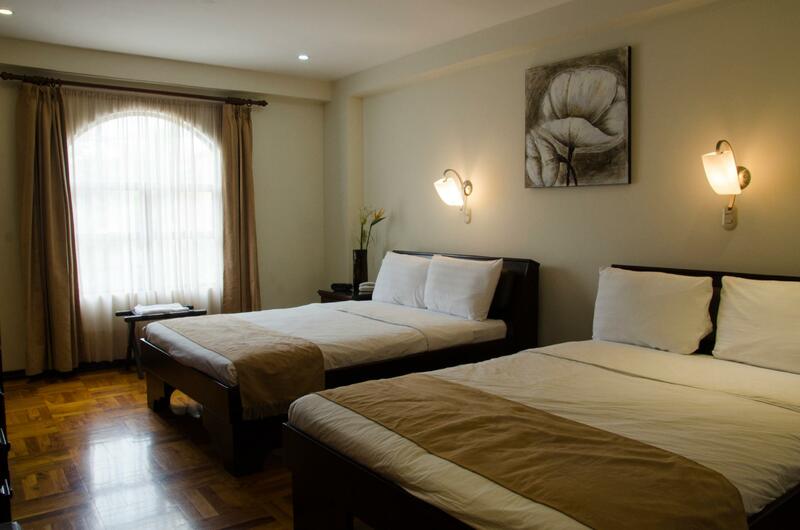 Hotel Plaza Real Apartments & Suites is your one-stop destination for quality hotel accommodations in San Jose. We loved the cook to order breakfast, large king sized hotel room. Good shower pressure and hot water. Friendly and efficient check in. We didn’t have a car so used uber a lot and walked to a few (American) restaurants nearby, though If we were to stay again we would want our car with us. Room was clean and spacious. Free hot breakfast was yummy. Use Uber for getting around although there's a couple of good restaurants in the area. Good: Nice Size spacious good bed, good furniture room. nice and clean. Breakfast is ok. I was picked up by staff at airport. NO HOT Water in SHOWER, unless you are ok with it. Good clean toilet, big bathroom standing shower. Windows, Safe case. BAD" Staff does not speak English. At really worse location. I was only in the entire hotel on Sunday 5/30/16, Saturday 5/29/16-only two rooms light lit up. Empty space, don't know why. In such weird location, I tried to walk at night and day, you don't find single person within 1 km of this place. On back side there are tons of car dealers no space to eat. Other side best western, nearby there is subway and Denny's. You need to have taxi all the time to go somewhere. cost $12 to go to central bus station. Multi plex /Mall same thing. Santos and hotel Sheraton bar will cost you $ 10 bucks from this hotel to go. on 5/28/16, both bars were empty, literally old people were dancing !! not kidding. For Family, who have car to go to places, this place is good. Close to highway. for solor traveler, I will not recommend it, if you don't have car. Live in central downtown area. 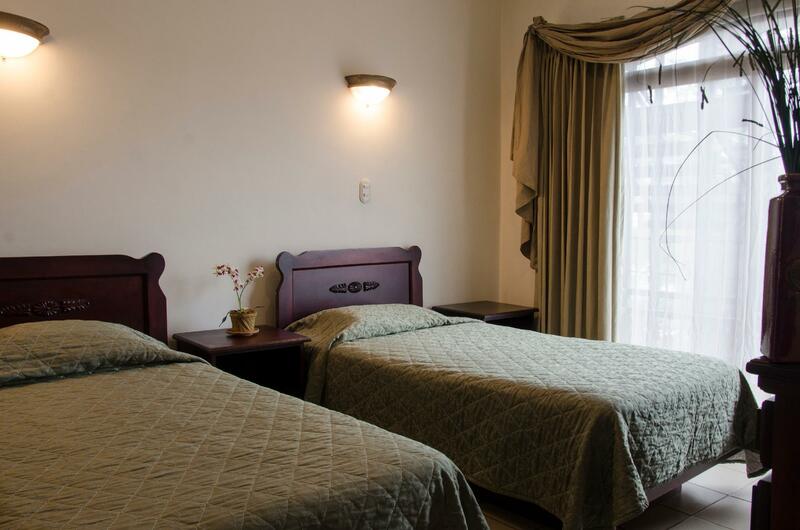 Good Hotel and good location, Hi-Speed internet access and clean room with Large bed. The only thing that the Hotel not have the resttaurant. Llegamos en este hotel directamente desde el aeropuerto: fue muy placentero el primer impacto con la gentileza del los ticos.. El hotel es muy limpio, la habitaciones cómodas y amplias. El desayuno algo básico pero fresco y genuino. El personal está encantado de servirte lo que les pides afuera de lo normalmente ofrecido.